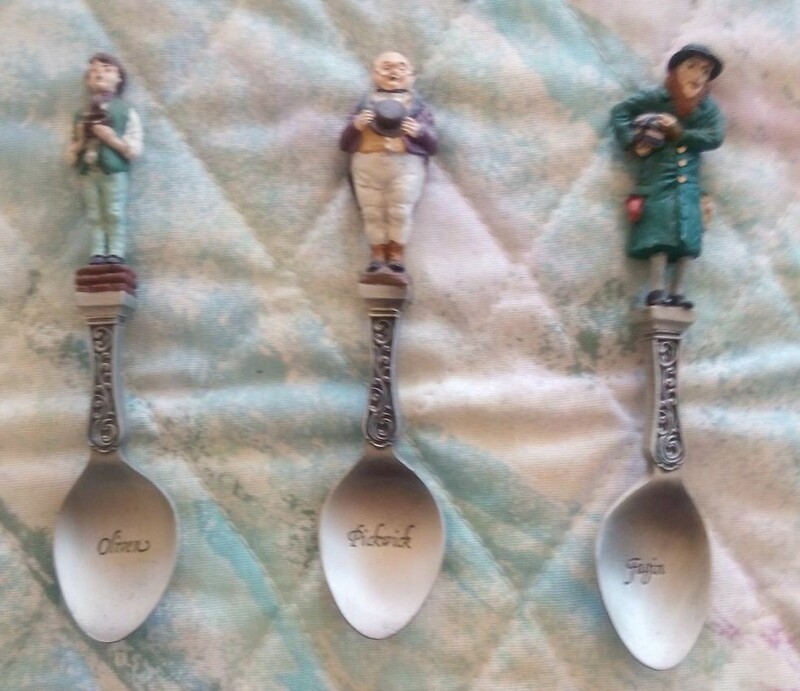 The Franklin Mint, ca 1976, produced a set of 12 beautifully hand painted pewter spoons to commemorate the characters in Charles Dickens' "A Christmas Carol". 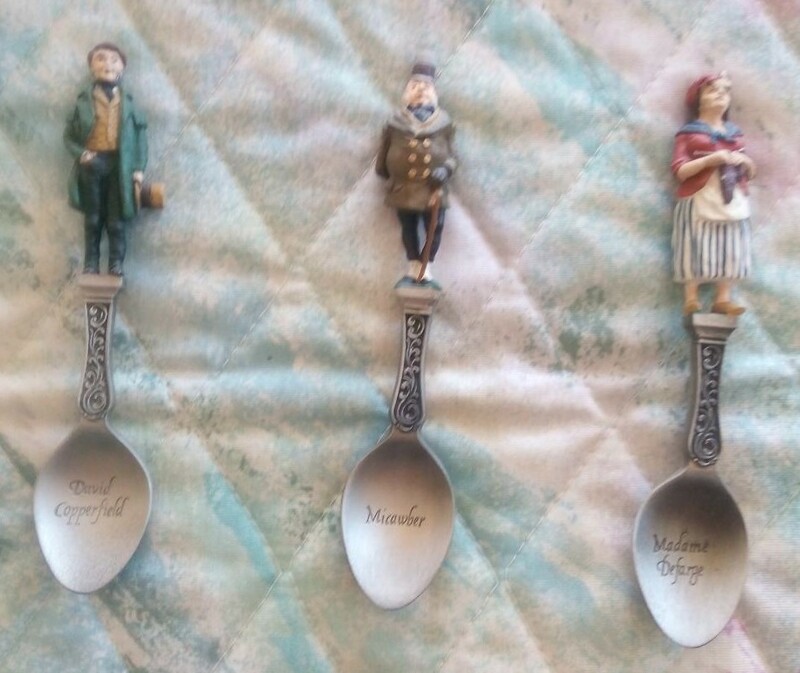 These spoons were sold as a set. 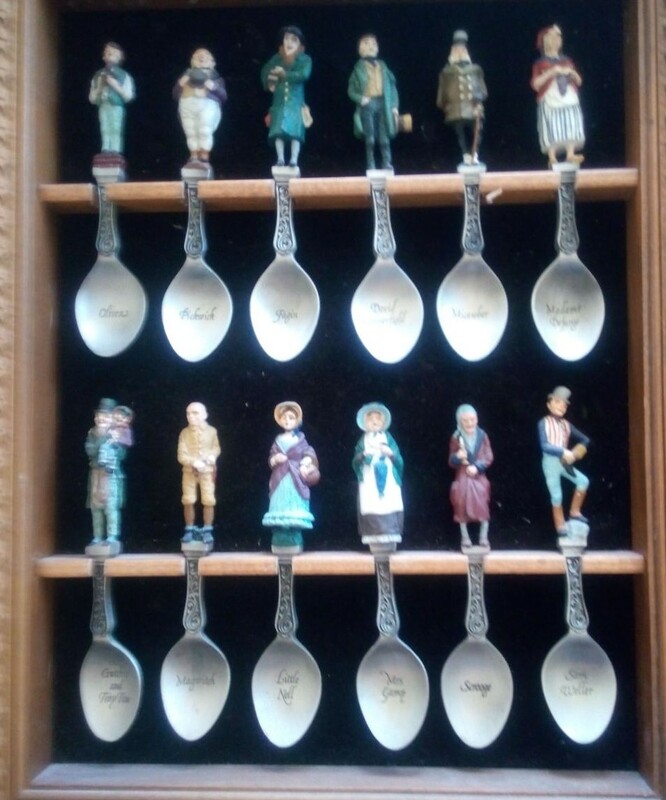 "Spectacular craft work and artistry come in this unique set of 12 Charles Dickens inspired spoons. 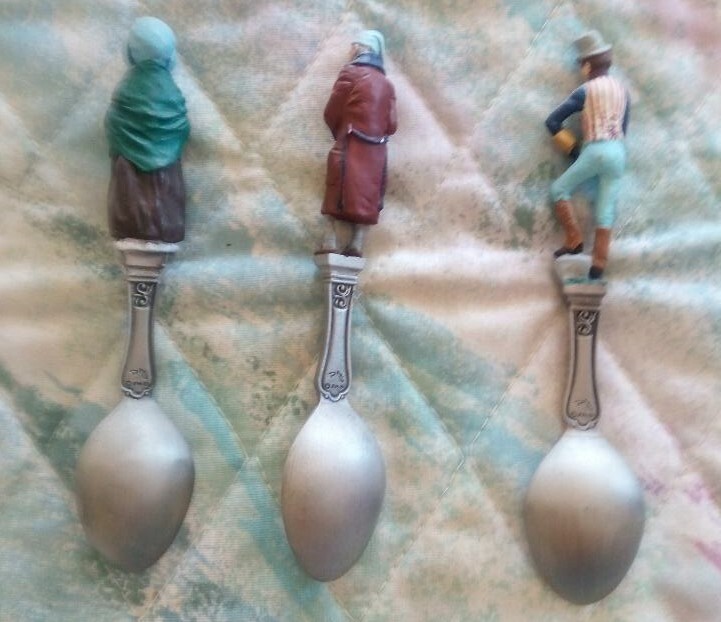 They come with a certificate of Authenticity that states:..."is a collection of hand-painted spoons crafted in fine pewter by the Franklin Mint and issued in limited edition by the Dickens House Museum. It is further [these are] certified original sculptures by the British Artist Peter Jackson. 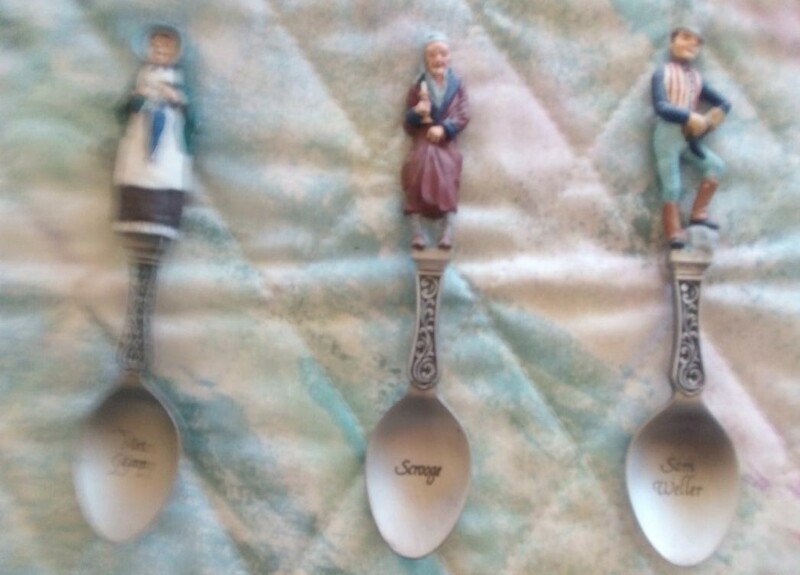 They come with individual information on each spoon as well." 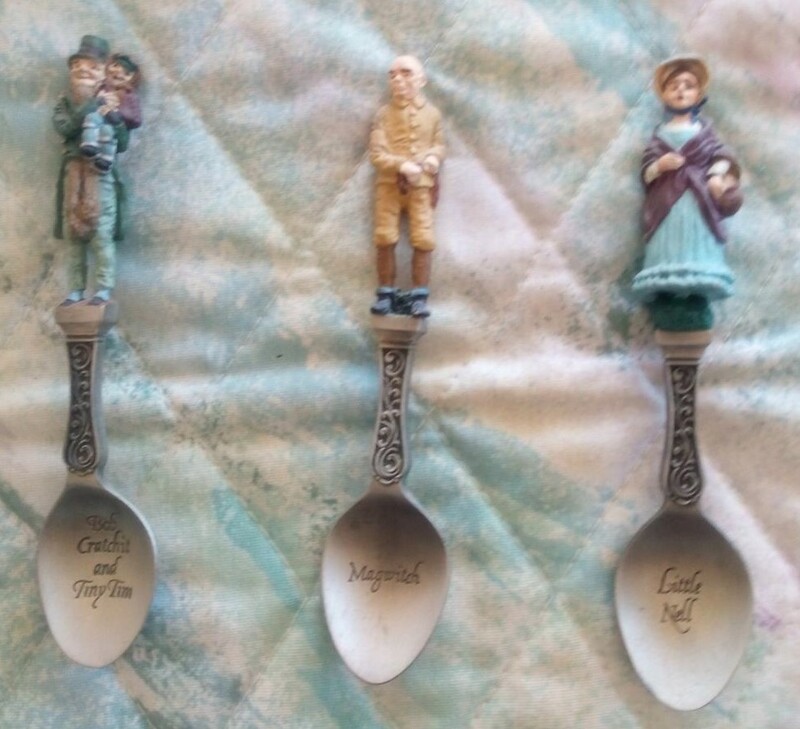 Dickens themed spoons were also made without the hand painting. These spoons are really very nice and make a nice wall hanging. The Franklin Mint was known for producing high quality collectibles. Sorry for the 'blurriness' in the photos. Original title A Christmas Carol. In Prose. Being a Ghost Story of Christmas.